The history of the Tibetan Traditional Hospital can be traced back to 1916. Named Mentsekhang in Tibetan, it began as a regional government teaching organ in which Tibetan doctors and astronomers were trained. In 1959, the government merged Mentsekhang with another medical college, which was formerly situated on the Chakpori Hill. In this way the Tibetan Traditional Hospital and its associated Tibetan medicine factory were founded. The clinic of the hospital lies in the Barkhor Street, to the west of the Jokhang Temple. Besides Tibetan people’s own experience, the development of Tibetan traditional medical science has a close relationship with Chinese and Indian traditional medical science. The main diagnostic methods Tibetan doctors use today are almost the same as traditional Chinese medicine. In the seventh century, when the Princess Wencheng came to Tibet, she brought a Chinese medical book and some Chinese doctors. The next Chinese Princess, Princess Jincheng, brought another medical book to and some more doctors as well. In the eighth century, a famous Tibetan doctor, Yuthok Yonten Gonpo went to India to study Indian medicine. This knowledge greatly accelerated the development of Tibetan medical science. This doctor learned a lot from Chinese and Indian traditional medical science and incorporated his knowledge into the system of Tibetan medical science. Numerous Thangkas hanging on the walls of the hospital contain the Tibetan medicinal knowledge in all of aspects, from the beginning of Tibetan medicine to pictures of human anatomy, methods of treatments, dietetics, acupuncture and so on. The medical Thangkas depict succinct pictures and brief words and are important tools for teaching Tibetan medicine. 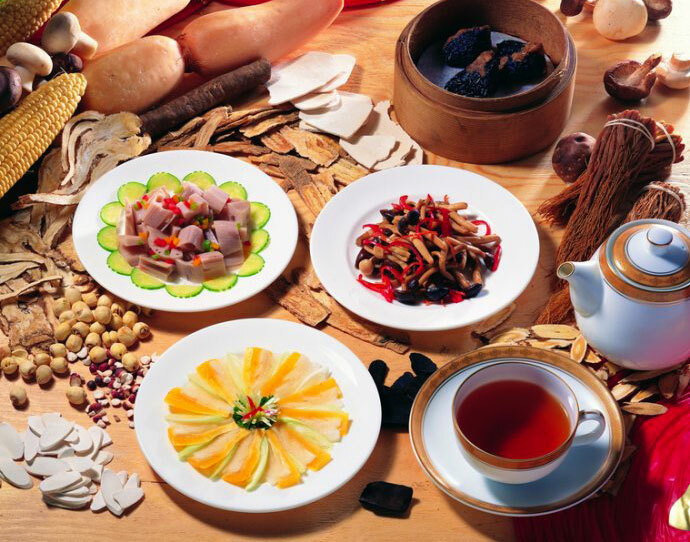 Tibetan medicine has drawn a great deal of attention from all over the world because of its striking effects on a variety of diseases, such as cranial vascular disease, chronic hepatitis, atrophic gastritis, hypertension, cardiac disease, and cerebral hemorrhage. Large numbers of foreign experts and scholars come to Tibet each year to study and investigate Tibetan medicine. Some countries have even introduced Tibetan medicine. Like other hospitals, hospitals in Tibet are divided into several departments, such as Medical Department, Surgical Department, Dental Department, Dermatology Department, and Department of Gynecology. Some hospitals mix Tibetan Medicine, Chinese Herbal Medicine and Western Medicine together with surprisingly good outcomes. Some hospitals feature in research on the unique functions of Tibetan Medicine. In Lhasa, there are the People’s Hospital of TAR (Tibet Autonomous Region), the Second People’s Hospital of TAR, the People’s Hospital of Lhasa, the General Hospital of Tibetan Military Region, and the Fukhang Hospital (nearby Potala Palace). Patients receive a warm reception and careful treatment in these hospitals. Hospital conditions in remote counties and mountainous areas may not be as good as those of cities; one may not get access to any medical service. Accordingly, travelers should take necessary medicines with them.